These couple of days have not been easy. Due to a lack of sufficiently good rest characterised by dreams, followed by some issues with our children, my mood plummeted over the weekend, and is only slowly coming back up. It’s a little frustrating, but it’s a lot less frustrating because I’ve been trying to see my illness with a “No steps backwards” mindset. Basically I’m trying to see each day on its own merit, and some days I will have greater challenges than others. This means that even when I’m struggling to just be normal, or am not able to speak, I am still not moving backwards in any way. Some days I’ll be worse than the week before, but by coping and being alive, I’ll still be able to give thanks by the end of the day. It removes a great deal of frustration I feel at the lack of progress because this already is progress – that I stop trying to achieve what I can’t. I simply wake up, assess myself, and by the end of the day see whether I’ve managed to accomplish what I set out to do on that day itself. With this attitude, admittedly, I had a meltdown in public yesterday because my elder son managed to drip soup into his shoe, and was complaining about it – even though he hadn’t carried any soup at all. My emotions have not been entirely stable since, and I do feel guilty about it, but less so now. I know that I need to move away when I can’t take the situation, but I’m also bound by a duty to take care of the boys when my wife is busy. We’re still trying to work out the best balance. But overall, I’m still feeling better because I don’t see these as setbacks, but just natural progression. Perhaps it might be seen as trying to sweet talk myself into feeling better about my situation, but it actually helps me not to lose heart, and helps me to apply living each day for itself much better. More importantly, it opens my heart to be able to pray even when I’m not feeling very well, because now I don’t focus on the frustration, but simply being able to cope. When I feel that overwhelming sensation, I now can pray a bit, and that is a lot more than I could do in the past. Food therapy always works. 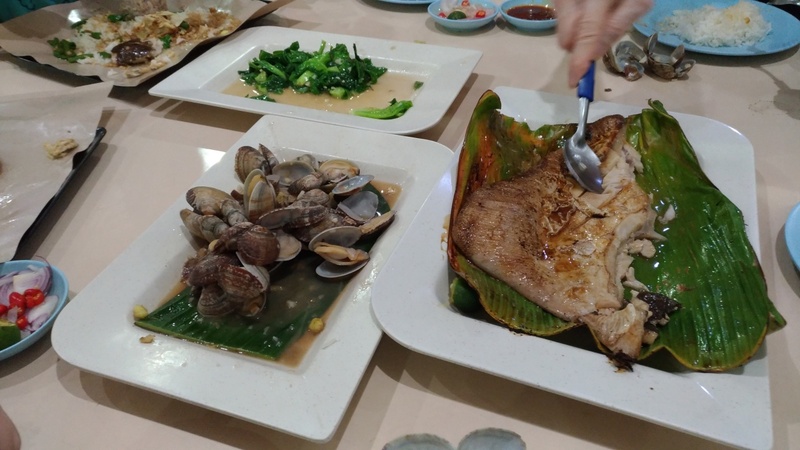 Above – BBQ stingray from Clementi central. Highly recommended. 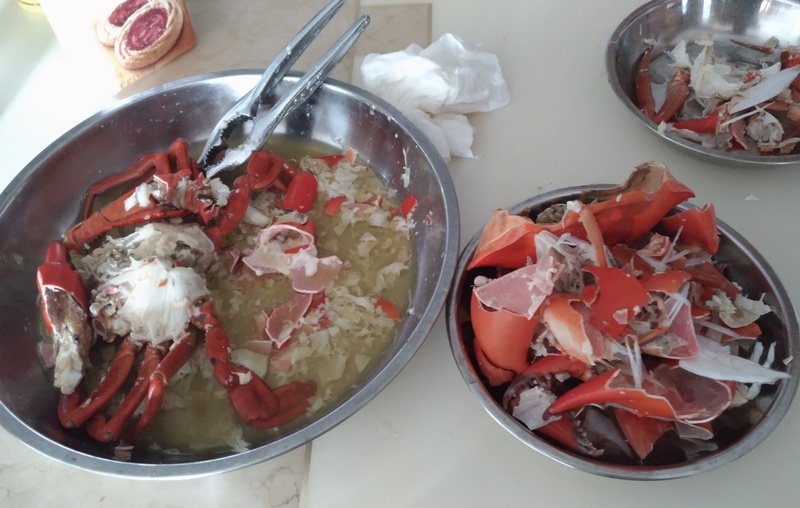 Below – steamed crab prepared by myself. My homework for now is to basically unpack these automatic thoughts. By using teaser questions, after any incident that I wish to record, I need to work out my automatic thoughts, process them, and highlight the “hot thought”, the thought that has the most intense response from me. Using the above example, if my thought was “That’s so careless of that guy!”, I could ask what made me think that guy was careless. A possible reply would be “Because he looks careless.” Following this I can ask myself why I think he looks careless, and so on, unpacking my thoughts all the way until I can trace the hot thought. It’s not easy, but I’m not giving up. My psychologist can’t meet me this week, so I’ll see her next week, but I definitely intend to try to record as many of such incidents as I can without tiring myself out. The next step, after identifying these thoughts, will be to see if they are valid facts (“Because he looks careless” isn’t fact. ), and if they are, how to cope with them. If they aren’t valid facts, she will guide me through how to correct them. On another note, I asked myself why I continue to blog and publicise my depression, other than for my own release and documentation. I think it’s not difficult for some people to think that I’m making a mountain out of a molehill, or that I’m seeking attention. I don’t have any photos of my meltdowns. I’m not able to take any selfies of that, and my wife would be focusing on me, rather than taking a photo of me at that time. I do wonder if my blog helps others, and the depression sometimes refuses to allow me to consider the few concrete cases I know of where the blog has made a direct impact. I know I need to believe in God more, and how He uses the weak for His purposes, but sometimes I do wonder whether I should continue to blog. But I think for the purpose of self care alone, blogging does wonders. For the purpose of mental health awareness, I want others who know me to put a face to depression. So I shall continue, with the reassurance to myself that I don’t do this to seek attention – if I am not believed, I shall just continue anyway. The struggle I face is real, and if anyone thinks that I am simply seeking attention, it’s my wife that they are insulting, for she has to see the tears, be shouted at sometimes, comfort me, and make sure that I am at least basically taken care of. I asked her today whether she needs me to voluntarily admit so that I don’t trouble the boys and her so much. 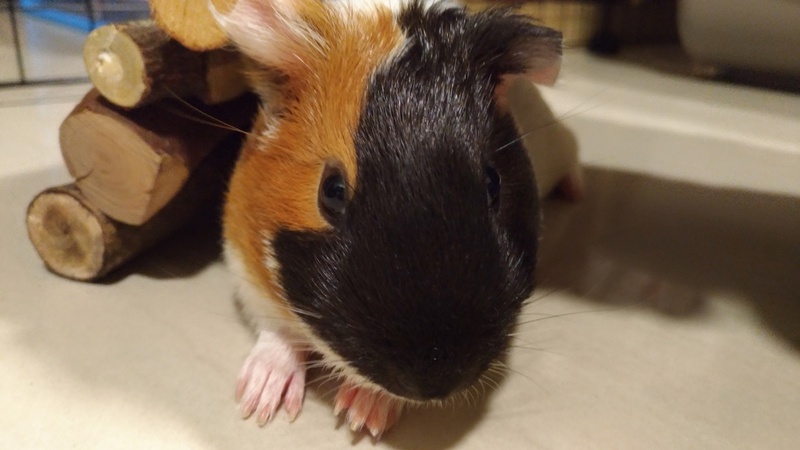 Her answer is that she prefers me to be around as she will miss me, and that the guinea pigs need my care. I still struggle to see why I’m needed, but I’ll try to just wake each day believing that God still has a purpose for me. I just don’t see it yet. Do you really need me to be around?